The chief executive of the Environment Agency - the public body responsible for protecting the environment and wildlife in England - Sir James Bevan, told a Waterwise conference, a few days ago that within 25 years England will not have enough water to meet demand. He stated that the impact of climate change, combined with population growth, means the country ( England ) is facing an "existential threat", "We all need to use less water and use it more efficiently and that, in around 20 to 25 years, England would reach the "jaws of death - the point at which, unless we take action to change things, we will not have enough water to supply our needs". 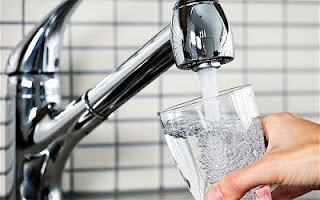 Last October, a water company, Southern Water - which serves customers in south eastern England, stated that customer demand is estimated to be double its available supply by 2020. As a result of climate change, a reduction of the amount of water allowed to be taken from natural sources, and a rise in population demand would outstrip supply. The company's plan for 2020-2025 sets out how it will overcome the deficit by reducing leakage by 15% and encourage customers to use less water. Now this could be good news for Wales, but only for if we had control of our own natural resources and could benefit from a fair price for our water. For amongst our rich resources is the literal stuff of life – water. Water is likely to become a valuable resource for the people of Wales in future years, and who owns, it who controls it, and who benefits is likely to remain one of the key issues, of potential dispute between Westminster and Cardiff Bay. While our country’s voice has been significantly strengthened since 1999, with various Wales related acts, as yet we still do not have the same degree of control of our natural resources as either Scotland or Northern Ireland. Not for nothing does the issue of water rightly still understandably raises strong emotions and stirs long memories here in Wales. Not that long ago Boris Johnson (then Mayor of London, lately, after May 2015 an MP, former feign secretary and now with other things on his mind) was wittering on about the need for a network of canals being needed to carry water from the wet North to the dry South (for the ‘wet North’ read ‘Wales). Boris's revolutionary thought, not to mention his poor grasp of geography, was not a new idea. Back in 1973, what was then the Water Resources Board, a now defunct government agency, wrote a major report that advocated building a whole raft of infrastructure to aid the movement of water, not to mention constructing freshwater storage barrages in the Ouse, Wash and Morecambe Bay, using a network of canals to move water from north to south, extending reservoirs and building new aqueducts, not to mention constructing a series of tunnels to link up river basins to aid the movement of water. Despite the demise of the Water Resources Board in 1974 (two years before the 1976 drought) and its replacement by regional water management bodies, which were privatised in the 1980’s this issue has never really gone away. In 2006, the Environment Agency produced a report entitled "Do we need large-scale water transfers for south-east England ?" which in a refreshingly honest answer to its own question at the time was an emphatic ‘no’. That said, faced with a prolonged period of drought in the South East of England, DEFRA itself held a drought summit on the 20th of February of 2012. The then Con Dem Government stated that it remained committed to the remaining legislative measures set out in its Water for Life agenda , which later became the Water Industry (Financial Assistance) Act. That is as they say history, but whatever Westminster eventually decides to do in relation to water resources, we in Wales still need to have full democratic control of our own resources. 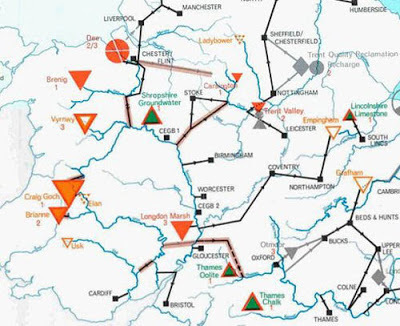 Our resources incidentally should include those parts of our country where Severn Trent Plc runs our natural resources for a fat profit. This process can begin with repatriating control of the Crown Estates and transferring control of lands in (and off-shore) to the Welsh Government in Cardiff. For the life of me I can see no realistic reason why this feudal anachronism cannot be consigned to the dustbin of history. We need a whole Wales strategy to develop, conserve and enhance our water supplies and our planning regulations will need to be tweaked or rewritten accordingly. We need to take a long hard look at our water resources and what we get for them and how we can develop them. I see absolutely no reason why the Welsh people cannot fully benefit from any future exploitation of Welsh resources, including our water. 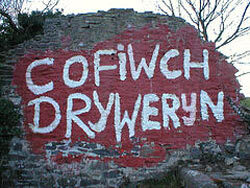 Most politically aware people would not have been particularly shocked to discover that coincidentally that the Government of Wales Act (2006) thanks largely to Peter (now Lord) Hain (amongst others) specifically excluded the Assembly from making any laws relating to water supply – hmm – odd that isn't it? Now such duplicitous behaviour on the part of New or re-born Old Labour is not to be unexpected. The problem is that it does little to engender any trust or visible demonstration of an understanding of devolution or Wales, especially when the bearded one’s version of Labour starts talking about re-nationalising the Water industry. Putting Tory and Labour spin and rhetoric aside, the bottom line is that all our water resources should belong to the Welsh people, not to Private corporations or to the UK Government. Any post BREXIT future draft Wales Bill should strengthen the powers that we in Wales have over our natural resources and associated planning processes and devolve control of those parts of the Severn Trent water franchise to Wales. Simply making Newport a convenient place to get to other places from it or to quickly pass by is a no brainier and does little to deal with the underlying problems that Newport faces when it comes to retail and commercial activity within the city centre and the simple lack of easily accessible public transport in and around the city. For whatever reason it is relative easy to come to the conclusion that Newport at times barely figures in the collective mind of the Welsh Government and much like Cymru / Wales is invisible to Westminster. Relatively recent developments have done little to counter this train of thought - 20 years ago the geographical SE of our country was for most purposes largely the former county of Gwent - with or without Caerphilly. Now the SE for a variety of purposes includes Cardiff, the Vale of Glamorgan and RCT. This relatively low key change in regional geographical emphasis slipped by almost unnoticed but has done Newport few favours. Whereas 20 years ago long term thinkers were concerned about the Severnside agenda - now we are literals between a rock and hard place - facing the consequences - social, economic and political of the Cardiff capital city Region.. and a reborn Severnside agenda. Some twenty years ago our SE (as Gwent) had one University (the University of Newport) - the new SE at one point had 4 universities with Cardiff, Cardiff Metropolitan and University of Glamorgan lumped in together with Newport University. That spatial development combined with UWN management publically falling out with the then Labour in Wales Minister of Education meant that when up against it there would be no cavalry riding to the rescue. 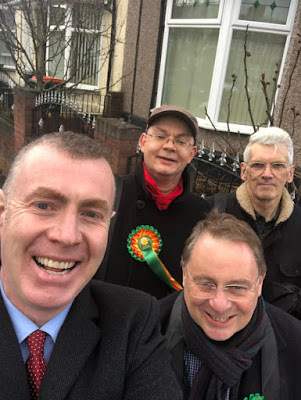 All those years that UWN had spent expensively wining and dining Labour in Newport and their cronies counted for nothing - all UWN got rather than support was the sound of silence. Post merger the continued visible run down of Newport City Centre campus does not provide a stable base upon which to build any knowledge and IT focused knowledge quarter. Transport wise our home city has missed out on the benefits of the reopening of the Ebbw Vale line to passenger traffic. Newport ceased to be (to a degree) once again a partial default initial destination for most travellers as trains run direct to Cardiff. The almost certainly deliberate decision to have trains running direct to Cardiff from Ebbw Vale (which was always the plan) but no slower hourly service to Newport significantly tweaked our regions transport geography quite significantly. Media wise it's much the same, Newport - our country's third largest urban area barely features on our own national media - it was not until fairly recently that Newport (in Gwent) began to appear on the BBC Wales weather map - even if only after numerous letters of complaint. Football wise things are much the same - Wrecsam football club gets far more media coverage on BBC Wales than Newport County ever does (save when we are successfully involved in relegation dogfights or good FA cup runs) and this is despite the fact Newport has been in higher division for six years. The costly (in many ways) proposed M4 Relief road won't solve Newport and South Gwent traffic problems or reduce the short local journeys we have to make because of the lack of an alternative reliable method of public transport. The proposed metro, which could take significant steps towards developing some long overdue integrated public transport infrastructure appears to be more concerns with ferrying people and and out of Cardiff, rather than tackling even indirectly some of the underlying issues affecting Newport. We quite simply have to do better than that. What's needed - apart from railway stations at Celtic Lakes, Caerleon / Ponthir, Magor and Llanwern (with adequate, safe and secure park and ride, and other facilities) is an interested system of public transport (with rail, light rail, trams and buses) that stretches north to Cwmbran, east to Magor / Caldicot and Chepstow and West to central and eastern Cardiff providing us with easily accessible realistic alternatives to using our cars. Along with a decent easily accessible integrated public transport system - the norm in more than a few paces - we also need to look at creating a level playing field for our local small businesses. The Friars Walk in Newport has been a welcome exception to the last thirty five years, where across the south east, we have seen the commercial hearts of many of our communities (including Newport) seriously damaged (if not ripped out in some cases) as a result of a combination of aggressive policies pursued by the larger retail chains and exceptionally poor decision-making on the part of local government and central government indifference. When combined with the rapid growth of unsustainable, ill-thought out and more than questionable out of town and edge of town retail developments which leave next to no place for the smaller local businesses and retailers and deprive consumers of real choice. When you factor in parking charges, business rates and the effect of the closure of high street banks and post offices in many of our communities and you begin to see why many of our smaller businesses and local shopping centres are up against it. We need to focus on creating the right conditions for our local small businesses (and our communities) to not just survive, but to thrive and grow in Newport and across the SE. They are a vital part of the local economy, for as well as trading with us the consumers and customers, they also trade with each other - so the community gets twice the benefit. Money spent by and in local businesses spends on average three times longer in the local economy than that spent with chain stores which is instantly lost to the local economy which in times of recession our communities can ill afford - this are some the reasons why we need a New Newport and a New Wales. I’m Jonathan Clark and I am standing for Plaid Cymru in the forthcoming by-election. I am from Newport, my family is from Newport and I have had enough of seeing our city declining every year. More shops shut, more homelessness, more problems with traffic, more anti social behaviour. AND THEN YOU PAY FOR IT! The proposed M4 relief road across the Gwent Levels is one of those questionable proposed projects that will devour public money with no tangible medium to longer term benefit. Projected costs have risen from some £900 million to £1.2 billion pounds - having personally listened to enough civil engineers - we can probably expect at least another 20% on top. There may well be a link between the rising costs, when it comes to the completion of public sector infrastructure projects and the cost relationship between the construction companies and the corridors of power in Westminster and Whitehall. The inability of public sector infrastructure projects to be completed on-time and on budget should be a concern for all of us - if for nothing else than the fact that it's our money that's being simultaneously both spent and raked up. Are we doomed to repeat the same mistakes? The Westminster government has (somewhat reluctantly in my opinion) actually devolved a degree of borrowing powers to the Welsh Government with a less than subtle heavy hint that they should be used to finance this expensive road project. This was backed up in the last Westminster budget with a stronger suggestion/ hint that any extra monies received from Westminster should be used to fund the M4 Relief Road. So much for Westminster having a grasp of the concept of devolution! Using the borrowing powers to finance this questionable road project would effectively tie the hands of future Welsh governments for some years into the future. We would be better off if the monies (£2 billion pounds could accomplish a great deal)were spent in the construction of a properly thought out South Wales metro which would provide realistic realistic reasonably priced alternatives for people trying to get to and from work. 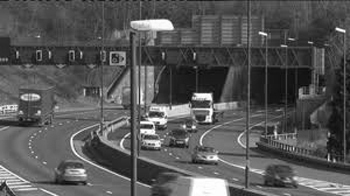 The construction of the Black route is a non starter, its lazy complacent short term thinking, it with the addition of potentially 6 million additional vehicle invents on and around the M4 will not deliver any benefits beyond the immediate short term (if even that). It's environmental destructive to both people and the rich human constructed environment that are the unique Gwent Levels. And it also just happens to strengthen those questionable links between Westminster and Whitehall and the large construction companies. Historically the original M4 was intended to be built to the North of Caerleon / Lodge hill - with the provision of a connection for Newport's industrial and business areas (the SDR) Newport Council lobbied for the M4 to be built through northern Newport - it came with plenty of junctions - which we all then used to travel back and for from one side of Newport to another. Many (some 100,000) journeys on the M4 are defined as local, we use the M4 for local journeys around or across Newport as well as to get to and from work. The proposed M4 Relief road is no simple by-pass - it will have at least 4 junctions effectively setting itself up for more of the same. its odd sometimes how history can repeat or echo itself - and no one seems to notice. There is no simple easy fix solutions to our traffic and infrastructure problems, they are fundamentally underlined by a degree of tolerated (by Westminster, Cathays Park and Cardiff Bay) economic weakness. The problems are not, however, unsurmountable if tackled incrementally, one start would be to build railway stations at Caerleon / Ponthir, Llanwern and Magor. These new stations should be built with adequate cheap, secure, safe park and ride facilities, tied in with local bus services - along with a reasonable regular timetabled service between Ebbw Vale and Newport - and we may begin to see a real reduction in local journeys across and around Newport on the M4 as people have a real alternative to using their cars. A well designed and well thought out South Wales Metro that actually serves all of South Wales rather simply feeding people in and out of Cardiff, is not what's been offered. The Metro is often portrayed as a big single entity of a project - it is complex and multi layered - but it can and should be constructed incrementally. As the completion of parts of the project will have significant local (and regional) impact on congestion, pollution and travel to (and from) journeys to work across the south east. Hand in hand with developing the South Wales Metro, future Welsh governments should also bite the bullet and ensure that ticket prices are cheap and that any franchise holder ensures that there is adequate provision of rolling stock (preferably from the early 21st rather than the late 20th century). We need 21st century ticketing which will enable users to make use of multiple modes of transport with single source ticketing. All this is achievable, deliverable and measurable - what's is desperately needed is the political will and a real / actual commitment to getting the job done, rather than simply talking about it. Sadly we have seen precious little of that in recent years from successive Labour in Wales government in Cardiff Bay or from a rabidly Brexit focused Westminster.